What will your story be? Over the years, many Jamaica Exquisite Tours customers have shared with us the important milestones they have experienced in Jamaica. Weddings, Anniversaries, Birthdays, Honeymoons, Couples Retreat, Family Vacation and Incentive group vacation, just to name a few. Whatever it is that you’d like to do in Jamaica, saying “yes” to choose our private airport transfer and other ground transportation services can be a great place to start. Now it is even more rewarding to use our private tours and excursions services when you explore Jamaica with friends and family. Just book any of our private airport transfer service option and receive 10% discount on the transportation cost for your private tour. 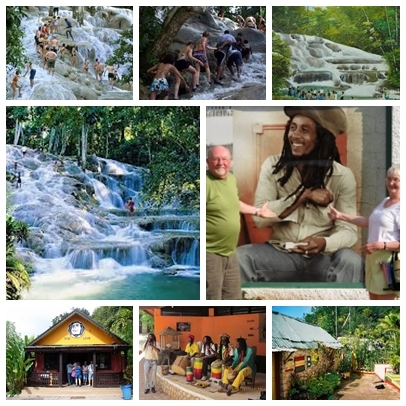 Plus, your personalized tour allows you to experience Jamaica at your own pace, no rush, no hassle and your driver also serves as you own tour guide sharing with you various aspects of our island’s history, heritage, culture, and personal photographer if you so desire.